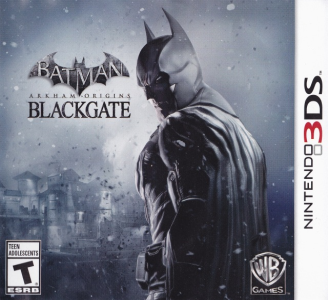 Batman: Arkham Origins Blackgate is a 2.5-D Metroid-style exploration action game, developed by Armature Studio. This is a spin-off to Batman: Arkham Origins. Alongside its console-counterpart, Batman: Arkham Origins Blackgate adapts the proven Rocksteady formula into a portable setting. Batman: Arkham Origins Blackgate runs near flawlessly in Citra, although the framerate can be a little bumpy at times. Powerful hardware recommended. It have some audio issues and in-game slow downs on low end hardware, while the story parts runs perfectly.